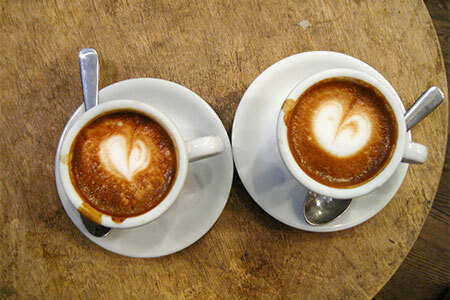 This is part two of a two part series on my favorite New York coffee shops. Let’s start with a quick recap of my ten through six choices part one before introducing five through one. A recent discovery, City Girl is probably the most “adorable” option on this list, great for one on ones or casual, early dates with its small size and “we’re not in Soho anymore” character. That said, City Girl still has to deliver on the coffee basics which it passes with flying colors: Stumptown beans, comprehensive brewing machines, and solid waitstaff. I also especially liked the selection of baked goods (brownies are killer) and how the music is often very eclectic and personal (usually from a barista’s iPod playlist.) Note on weekends at midday this place’s few tables can get snatched up, so come early or late to secure a spot. 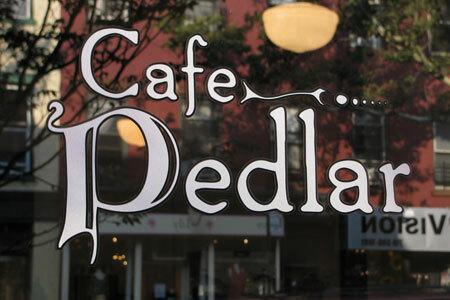 While Pedlar isn’t exactly perfect for big meetings – it has only about ten seats total in an otherwise wide open space – it’s hands down my favorite place for coffee in Brooklyn. The waitstaff nail their Stumptown brews consistently, refills are only a buck, and even though seating is limited, it can feel extremely airy and relaxed when you snag a seat. In warmer months, having a cup on their outside benches, reading or watching the people walk by, is a great refuge from the craziness of Manhattan. Do note their newer, Lower East Side location feels like a lesser substitute of the original in Cobble Hill: it’s too long, narrow and dark. While I tend to avoid Arlo on weekend evenings (it’s crazy), during the days this place opens up into one of the most serene, calm little coffee spaces in the city. Coffee is awesome with a very cool, European like presentation (little menus, a choice of beans), changing blends and individual French presses. Architecturally it’s by far the most well thought out space on the list, with a worn bar, dark, moody lighting and little tables for two or three. Note this isn’t a place for larger, boisterous parties; people generally keep their voices down under the din of the (mostly indie rock) soundtrack. Great beans and a zen like calm right in the middle of the East Village is hard to pass up when it’s time to relax. If there had to be one pick for sheer coffee quality, Stumptown would be my first choice. Not only are they using one of the better bean choices in the city, but there’s a skill and attention to detail you rarely find elsewhere: Waitstaff are very knowledgeable (and in a “uniform” of natty, hip outfits of fedoras and ties), coffee seems to be at the perfect temperature every time, and the brew is almost uniformly consistent. The Ace Hotel lobby, from which Stumptown is attached, is also is an awesome, large space: Comfy chairs, wall coverings and details that look like something out of a Wes Anderson film. 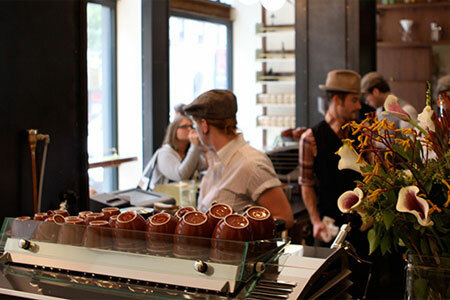 The only thing that keeps Stumptown out of the top echelon for me is personal: It just doesn’t give a strong neighborhood or even New York vibe. You’re in a hotel lobby, and you rarely forget that fact. 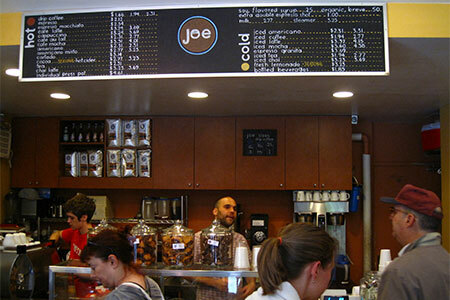 Joe delivers on pretty much everything I want in a good coffee cafe. The coffee is uniformly strong and excellent, second only to Stumptown for drip in the city. The waitstaff has character and is always friendly. 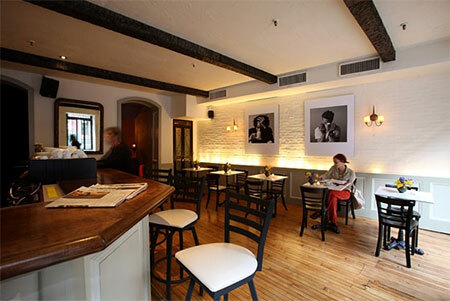 The rest is all about balance: The West Village location has enough space to give the vibe of a real cafe yet small enough to still feel a bit intimate and a “break” from the crowds. There’s a good selection of snacks, but not too many to keep focus away from the main coffee action. There’s enough light to read, yet there’s large enough windows in the day to feel a connection to the outdoors. It’s true that on the weekend Joe can often struggle with crowds, but if you’re patient for a few minutes you can get a seat. 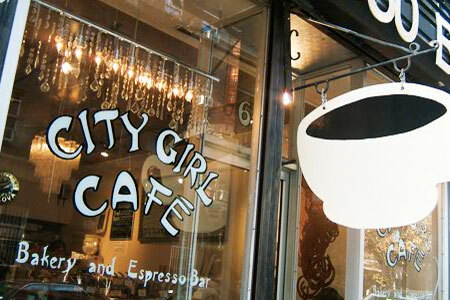 It’s well worth it for probably the best, most consistent coffee experience I find in New York.